Our Virtual Issues are retrospectively-assembled Tables of Contents with links to previously-published Magn Reson Med articles. Drs. Florian Knoll (New York University School of Medicine, New York) and Greg Zaharchuk (Stanford University, California) have assembled a Virtual Issue on the topic ofMachine Learning. This Virtual Issue coincides with the ISMRM Workshop on Machine Learning Part II being held in Washington, DC on 25-28 October 2018. Dr. Elizabeth A. Morris (Memorial Sloan Kettering Cancer Center, New York) and colleagues have assembled a Virtual Issue on the topic of Breast MRI: Advancing the State of the Art. This Virtual Issue coincides with the ISMRM Workshop on Breast MRI: Advancing the State of the Art being held in Las Vegas, NV, USA on 10-13 September 2018. Recently our publisher Wiley introduced a new, streamlined appearance for our journal Homepage. It’s based on a new platform called Literatum. It offers lighter, cleaner design, and features an article-focused layout and increased whitespace to improve legibility. A large amount of content was migrated during the changeover, which has gone relatively smoothly. If you notice a problem, please feel free to email mrm@ismrm.org. To help meet the increased number of articles submissions (a record high of 1070 in 2017), we are publishing extra-large issues (~600 pages) for January-April 2018, and also paginating issues several months in advance. These changes are expected to significantly reduce delays authors have experienced receiving final volume/issue/page numbers for their articles. Apps are available for both Apple and Android devices. To download the appropriate app, please search for words like “Wiley” and “MRM” at the Apple App Store or the Google Play Store. Our ManuscriptCentral/ScholarOne site is open for manuscript submissions in conjunction with the 2019 I.I. Rabi Award to be awarded at the ISMRM Annual Meeting in Montreal. The submission deadline of 12 September 2018. For more information about the YIA competition, please visit: https://www.ismrm.org/YIA/ . Magn Reson Med is very pleased to continue to offer its standard publication option: No page charges, including color pages in print. Some authors, institutions, or funding agencies however, prefer or require papers to be freely and immediately available for download by anyone, regardless of their subscription status, i.e., Open Access. For those authors, Wiley offers an author-paid publication option called OnlineOpen. This option is only available for accepted papers, so if an author makes this choice it has absolutely no bearing on the peer-review process or any editorial decision. 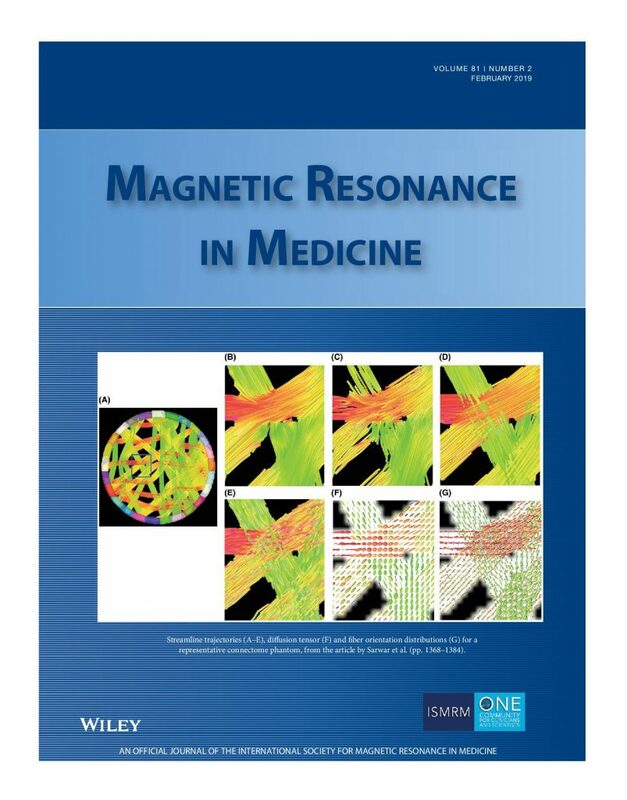 We are pleased that our publisher is offering ISMRM Members a 25% discount on OnlineOpen fees for their Magn Reson Med papers. The author applying for the discount must be a current ISMRM Member. More information is available by clicking on the OnlineOpen link on the Magn Reson Med homepage. You will be prompted for your ISMRM login information.